This weekend we stopped by the Standard Beer Garden, Biergarten for some drinks--and it was way overpriced: Starting at $14 dollars for a Rose and $12 for a Prosecco, perhaps the beer prices are much easier to swallow at $8 dollars a mug; but we wouldn't know-- as we aren't really big beer drinkers here at the NewsGallery. Needless to say, we don't recommend having a group gathering there-- it's way over-crowded on the weekends--making you feel like a sweaty canned sardine in the summer heat. And lastly, the main attraction: the venue--which sadly, doesn't nearly live up to the hype. It's right next to the Highline by the Hudson River, and neither are visible--which is quite a shame really: What's the point of being stationed by the water if you can't even see it? 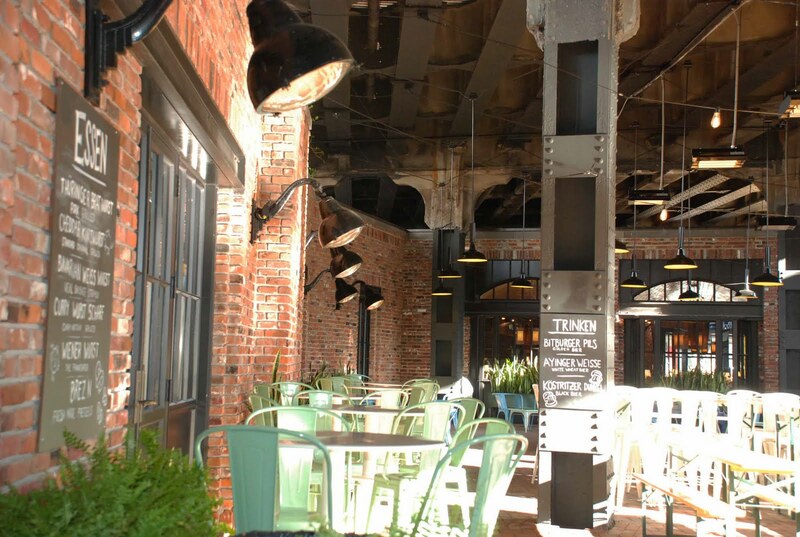 The crowd was a mix of the usual Meatpacking District mob, young professionals, Europeans, and out-of-towners. 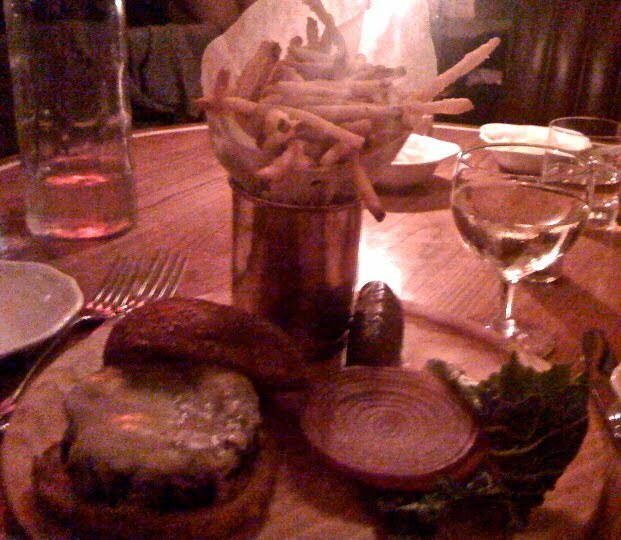 Thankfully, just around the corner is the Standard Grill--where elegance meets romance and where a rather delectable burger and fries on the menu awaits you for putting up with the Biergarten overproduction-meat-market. The service is exceptional, and walking in without reservations on a Saturday night nonetheless has a pretty high possibility of being honored--quite rare in most talk-of-the-town restaurants. It gets overly-crowded as well, but the table arrangements gives everyone just enough room to enjoy the scene as well as the food quite comfortably. 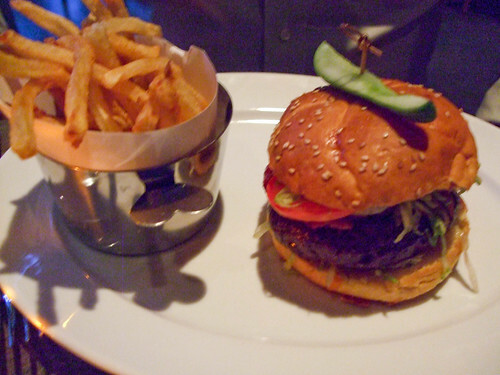 The Standard Ranch Burger is one of the gems on the Standard menu. If you're into bleu cheese-- the combo is nearly perfection, although of course you have other cheesy options. The fries are quite delectable as well-- very well crisp and mildly seasoned--just the way we like it. It also comes with or without bacon. And at $14, as much as we love DBGB , this burger indeed has a lot more ranch quality than Daniel Buloud's The Yankee Burger. This beautifully laid out plate is the Standard's Flash Seared Lamp Chops, served with crisp polenta and pureed basil. 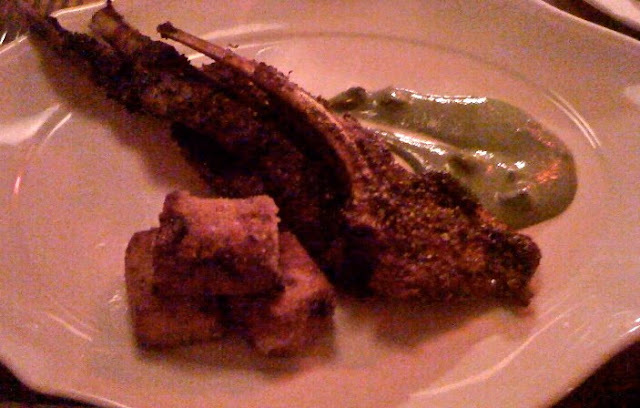 The seasoned polenta as you can imagine--dipped in the basil puree is quite unforgettable. However, the lamp chops apparently would've been a lot better with much less salt, but wasn't to the point that it was inedible. 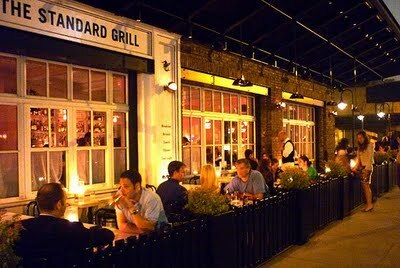 So if you catch yourself at the Biergarten by the Highline--in need of a delectable escape just remember: The Standard Grill is just next door--literally--yum.